Before we go on to discuss what exactly Clash Royale bot is and how we can install Clash Royale bot on our iOS devices, let’s have a look at what’s new at Clash Royale. Four new cards: The one of these cards is Tornado Card. What is Clash Royale Bot? Let’s cut to the chase and discuss what is Clash Royale Bot, why do you need to install it and how can you install it. Gaming bots are a familiar feature in the gaming world. When you install Clash Royale Bot, it plays the game instead of you so you can get more while doing less. 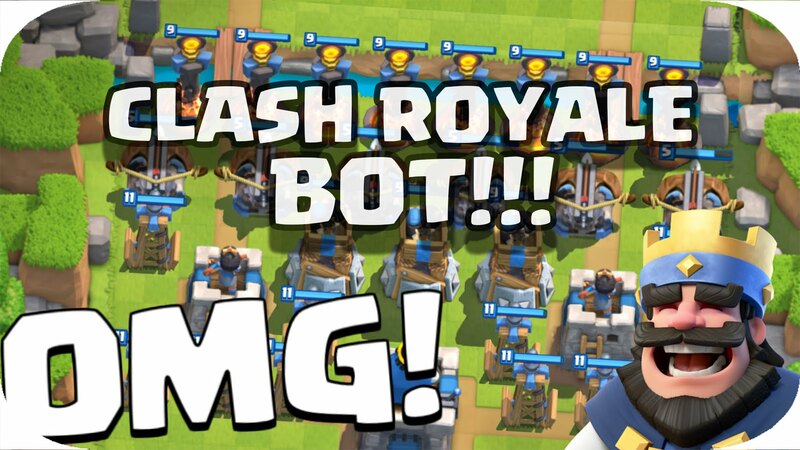 The new Clash Royale Bot is packed with many new features for users so that they don’t have to spend a lot of time playing the game themselves and still have all the benefits. Auto Request Cards –Request a card at random. Ignore Reward Limit –Fulfill battle addiction without care for reward. Ignore Battle –Choose not to battle without losing benefits. Battle Speed –Set card deployment speed to Slow, Normal and Fast. Recorded Attack –Record your gameplay. How many battles to lose –Choose the number of battles that you lose before you drop trophy. Run Every Minutes –Duration for which bot keeps your device unlocked. Passcode Unlock –Give passcode to Clash Royale Bot so it can unlock your device. Clash Royale Bot is a Cydia tweak so you need to have Jailbreak on your device to take advantage of its features. If your iOS device iPhone or iPad is jailbroken, follow the steps below to install Clash Royale Bot on your device. Once the installation is complete, open AutoTouch and tap on Settings. From here, go to the Control and tap ‘Action for Main Control.’ Now scroll down and you will find the volume button. Select ‘Down Press Short hold.’ There are scripts at the bottom of the app. Open free version.lua and note down the password. You will need this password in the next steps. Now launch Class Royale and hold down volume button. This will show you a list of scripts. Select the script specific to your device. Enter the password you noted earlier. Now you will see a menu that will let you configure different settings for the Clash Royale bot. If you installed Pro version of Clash Royale bot instead of the free one, the installation process remains essentially the same. Clash Royale bot is updated frequently. Its developers updated it recently, fixed some minor bugs and improved features and the overall performance of the bot.